Have you heard of the Rabbit Bug? Find out in this article how the Rabbit Bug managed to break the Google’s SERPs. Three weeks ago, I was a guest at SEontheBeach in La Manga, Spain for the first time. I had heard lots of great things about this event, so I was really excited to be invited to speak there, especially since Google’s Gary Illyes and I were the only ones invited who weren’t Spanish speakers. SEontheBeach turned out to be one of the best “pure” SEO events I have ever been to, because all the best Spanish SEOs were there and they shared their knowledge very openly. 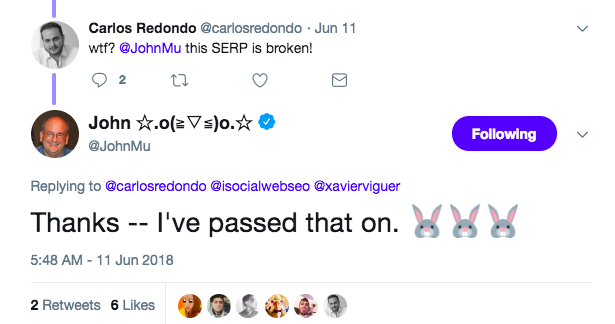 The Spanish SEO community has a great reputation, especially when it comes to pushing the boundaries and trying lots of SEO experiments. 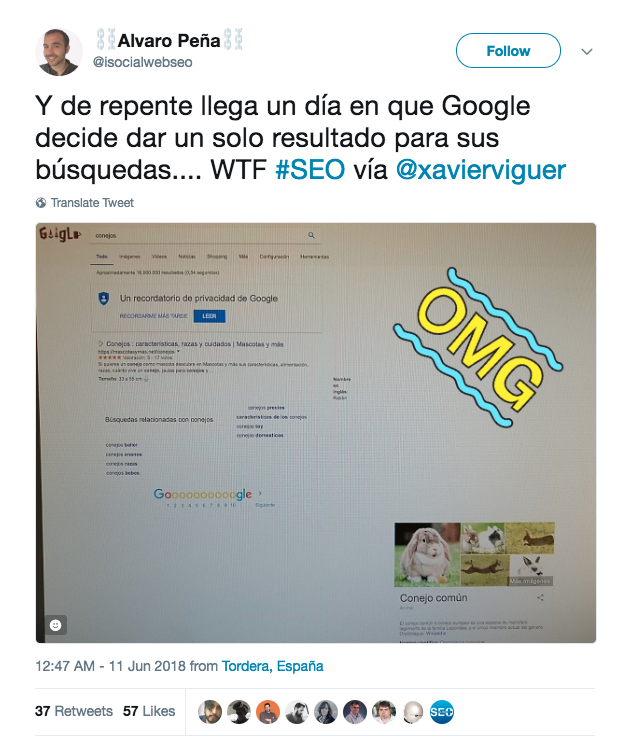 When I arrived in La Manga, the beach was buzzing with the story of a legendary Spanish SEO, who had managed to break the Google SERPs with what he called “the Rabbit Bug” just two days before the event. Still, most people didn’t really know what exactly happened, so I was eager to finally read the whole story on Alex Navarro’s Blog Vivirdelared.com. (You should definitely keep Alex’s Blog on your radar – he’s a well-known Spanish SEO expert from Alicante and his blog is one of the most-read Spanish SEO blogs). Where does the Rabbit Bug come from? Is this bug still working? Since many of you followed the Twitter thread about this error, let’s clarify this point before we go into more detail about the Rabbit Bug. The search stops after just three results. This is how I discovered the bug was still active. So it wasn’t gone, it was just biding its time. What is so special about the Rabbit Bug? 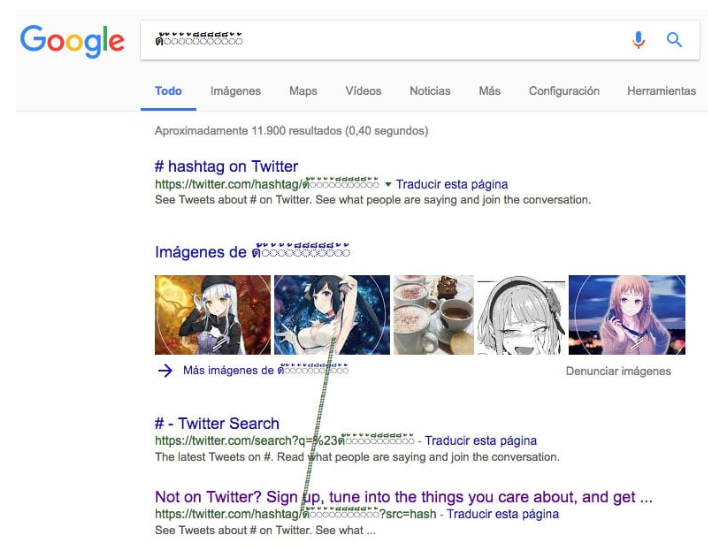 From the image and tweet above, you can see that the bug causes a breakdown in the SERPs. All results ranking after the website that implement this technique no longer appear in the Google search results. What’s the implication of this? Well, if you’re ranking in the top position, and you apply this technique, you’ll be the only one left in the Google search results. Similarly, if you are second or third, you will only have one or two more companions to share the CTR with instead of 10. Can I be penalized for exploiting this bug? It would make little sense to be penalized. This is a bug in the search engine, so it is not going against Google policies, and it could be generated by chance. Google will solve it when they solve it, and that will be it. What causes the Rabbit Bug? Here comes my interpretation of why I think the error occurs. If anyone has a different idea, let’s discuss it so that we can learn from each other. If you have basic programming skills or have done any coding, at some point you will have had problems with quotation marks, double quotation marks, and special characters. If they are not implemented correctly, you find code breaks, leading to unwanted results. Let’s make an analogy with a programming language that the vast majority of people know, and let’s give an example that everyone can understand easily. Imagine we have the construction of a PHP language called echo, which shows one or more strings. When the programming language in question processes the string, you will find that it begins with “Hello” and ends with the following double quotes: “Hello”. So everything that comes after that, will generate an error and break down, as it does not have the right structure. If you look carefully, the rupture occurs after processing the emoji. So the way in which Google processes this chain does not allow for special cases that can’t be foreseen. How does the error reproduce itself and how can I apply it to my website? First of all, you have to take into account that this bug cannot be applied in all searches. In order for this error to be reproducible and usable, it must be possible for Google to scrape information from HTML tables and display it as added information in its results. This is something that happens a lot in animal-related searches, for example, where Google takes additional information, for example about the animal kingdom, and species. Now I know where it happens but…. How does that information appear there? All these pages have a common pattern and are nothing more than HTML tables. Google searches for additional information, and the tables give Google an easy way of classifying and schematizing this type of information, so Google uses these tables to collect data. So I just put in an HTML table and that’s it? 1. 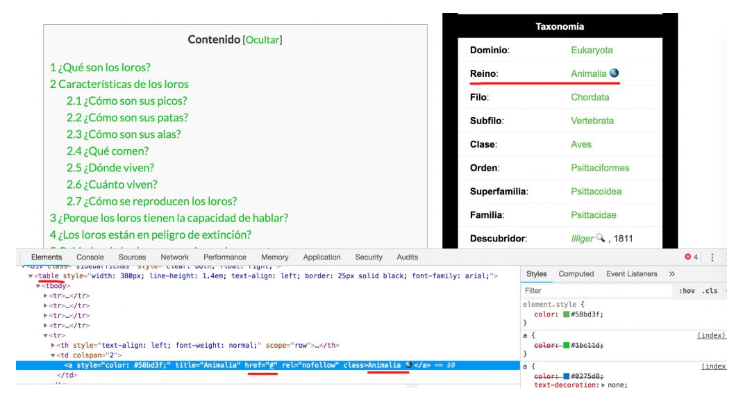 Generate an HTML table with interesting information for Google to display in the SERPs. 2. Generate links with anchors in the table fields. 3. Add an emoji within the link text. Before I finish the article, I would like to highlight something. 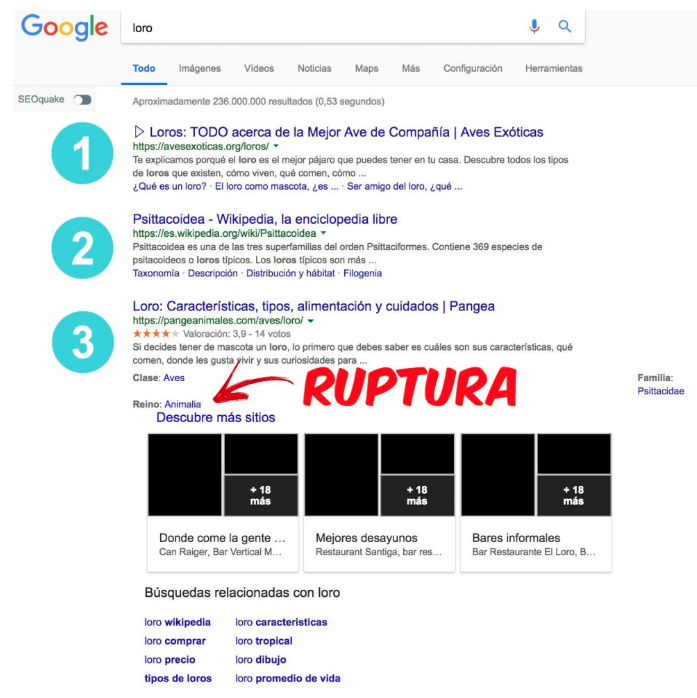 Sharing this type of “tip” is not intended to spam SERPs, but to make the community think, and realise that we can all find errors that give us advantages over the competition in SEO which can help us to better understand how Google works. Professionals like Alex Navarro or Chuiso are exceptional because they really think about the different SEO areas. Don’t attempt to blow up the Google Search results, but contribute what you can, give it added value, and in that way we all will win 😉 Both SEOs and Google can use these sorts of experiements as free testers. Thanks to Alex and his team for giving iSocialWeb the opportunity to get into their home. We hope to share more interesting topics soon! Inbox by submitting your Email below.